Elephants are amazingly intelligent, incredibly beautiful animals. They're also massive, which is why it can be terrifying when one feels threatened and decides to charge right at you. 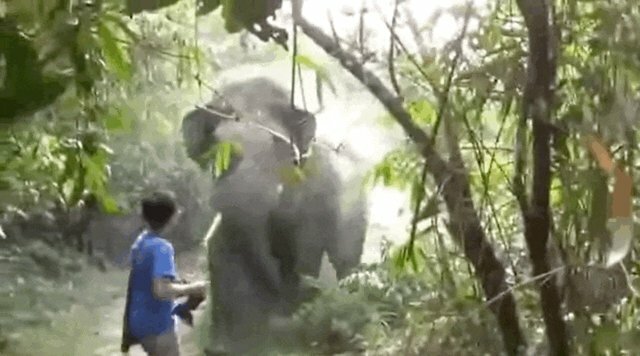 But this tourist did exactly the right thing when an elephant charged at him while he was on vacation in Thailand. At first the elephant was just watching the humans from the brush. But suddenly, the young elephant picked up speed and charged directly at one of the tourists. 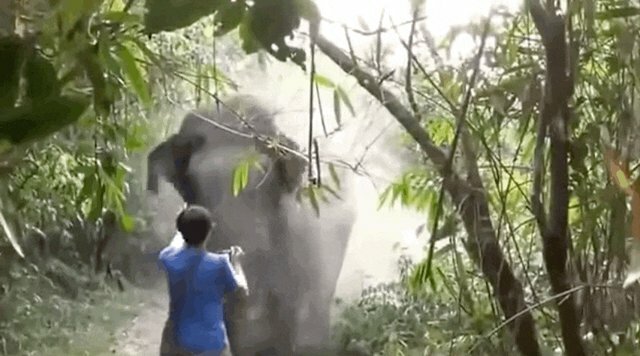 Luckily, he knew exactly what to do: He stood his ground and held up his hand as a way of communicating with the elephant. 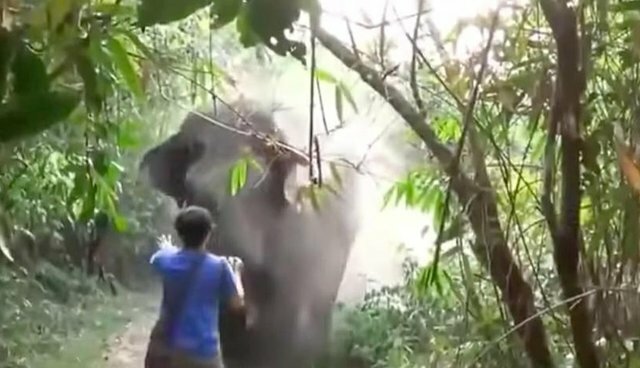 The elephant completely understood, and turned away peacefully. The video, uploaded back in 2014, has over a million views on YouTube. Conservationist Mike Fay explains why this is the best approach in this video for National Geographic. He reveals that in an encounter like this, the elephant is likely just as nervous as the human. According to him, the only way to stay safe in the face of a charging elephant is to stand in place and make a loud noise. However, not all experts agree, and there's no foolproof way to protect yourself - the best course of action is trying not to engage with wildlife in the first place. Elephants charge as a way of protecting themselves, their homes and their families. Sadly, trying to defend themselves can be sometimes be disastrous for elephants, as in the case of this mother elephant who was shot by a farmer when she approached his water pump. Every time a wild elephant is killed marks another tragic blow to their already fragile population. 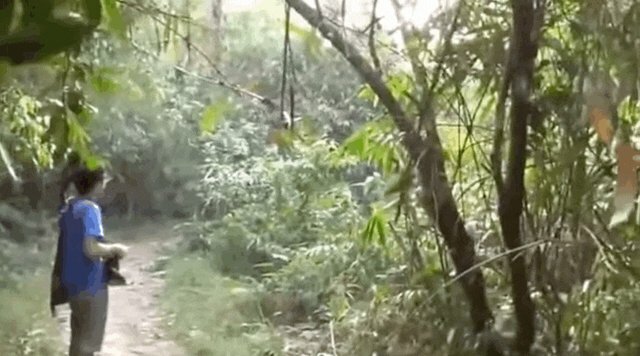 Luckily, because this tourist knew exactly what to do, both he and the elephant walked away from their confrontation. And he was able to shoot some great photos too - the only kind of shooting that anyone needs to do to an animal.